Capture distant subjects with clarity and precision with Sony's FE 70-300mm G OSS lens. Capture distant subjects with clarity and precision with Sony's FE 70-300mm G OSS lens. On APS-C sensor cameras, this powerful lens has a 105-450mm equivalent focal range, giving you even more reach. Sony's anti-reflective coating and six specialized lens elements reduce distortion and aberrations for outstanding high-resolution images, while a nine-blade circular aperture gives you a smoothly defocused background when shooting wide open. The lens' focal range and wide maximum aperture let you play up your subject by compressing and blurring the background, making it an excellent choice for portraits, close-ups, and detail shots. 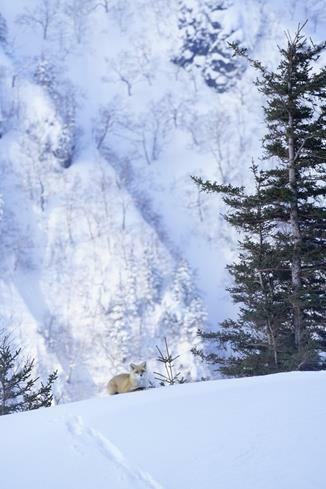 Sony's FE 70-300mm G OSS lens lets you capture crisp shots of distant subjects. Great for outdoor photography in any season, the lens' dust- and moisture-resistant construction means that if the weather takes a turn, you won't have to pack it in until you're ready. Range limiter controls let you restrict the focal range, preventing accidental focus on foreground elements and minimizing time spent "hunting" for focus so you won't miss your shot. Once you've acquired your target, the focus hold button lets you lock the focus where you want it. Sony's optical image stabilization system ensures sharp handheld images at longer focal lengths, slower shutter speeds, or in low light. Love this lens. I have it on my Sony a6300. Photos are sharp, bokeh is good, and it's light enough to hand hold. 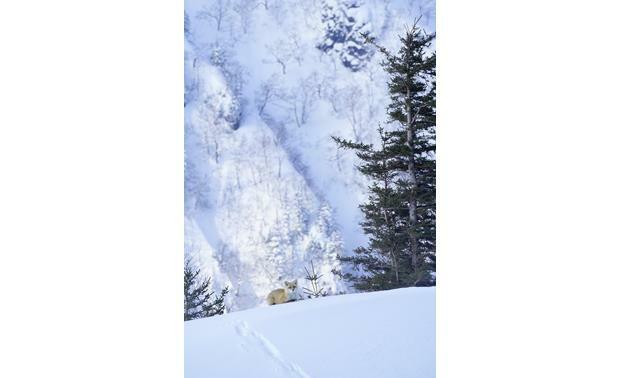 The four star rating is due to the f4.5-5.6. 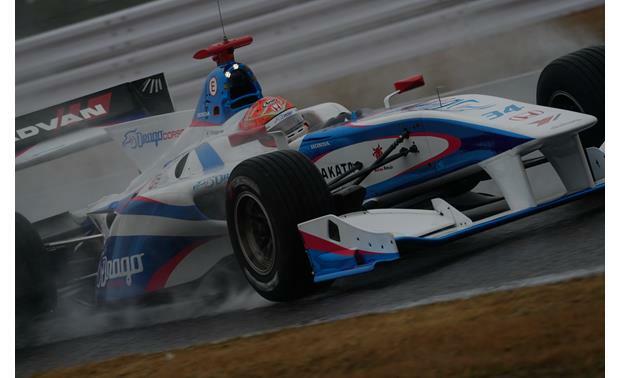 Of course if the f-stop were lower it would be heavier and more costly. Overall, awesome lens...producing awesome images. 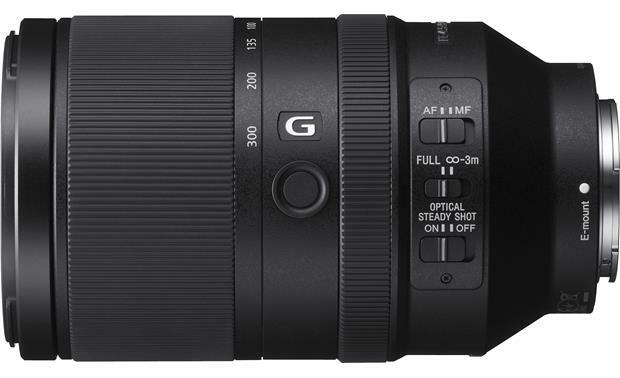 Optics: The Sony FE 70-300mm F4.5-5.6 G OSS (SEL70300G) telephoto zoom lens is compatible with the Sony α interchangeable lens cameras with the E-mount. It cannot be used on a camera with the Sony A-mount. 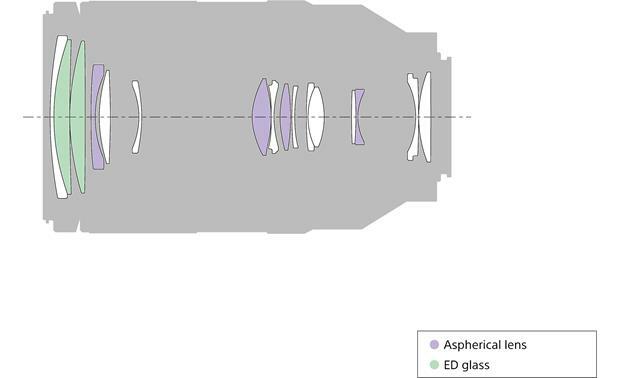 The lens is recommended for use with full-frame cameras, but can be used on cameras with APS-C image sensors. (The lens has a 105-450mm equivalent focal length when used on APS-C cameras.) The lens comes with the ALC-SH144 lens hood, front and rear lens caps, and a storage pouch. 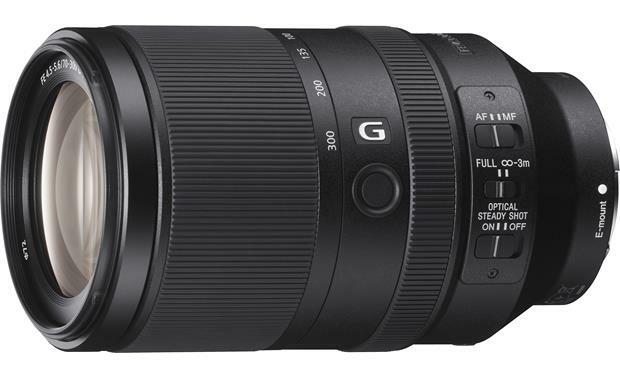 Sony G Lens: Sony's G lenses are designed and manufactured to the highest standards of optical performance. The SEL70300G lens utilizes original Sony technologies to achieve superb clarity and sharpness to maximize the performance of Sony's advanced imaging sensors and camera systems. Nano AR Coating: Sony's Nano AR Coating is used to ensure that all forms of optical aberration are effectively suppressed. This gives you superb corner-to-corner resolution. Optical Steady Shot (OSS): The SEL70300G has built-in Optical Steady Shot (OSS) lens stabilization. When mounted to a compatible camera, Optical Steady Shot can compensate for camera shake to prevent blurred images, especially when zoomed in all the way, or in low light situations. Gyro sensors built into the lens can detect even the slightest movement and compensate for any image blur that might occur. You can on/off Optical Steady Shot with the OSS Switch on the lens barrel. Focus Hold Button: A Focus Hold button is provided between the focus and zoom rings. When shooting in AF mode, pressing and holding a focus hold button will cancel auto-focusing, allowing you to release the shutter at a fixed focus. When you release the button and press the shutter button again to start auto-focusing. Note: The focus hold feature does not function with some camera models. 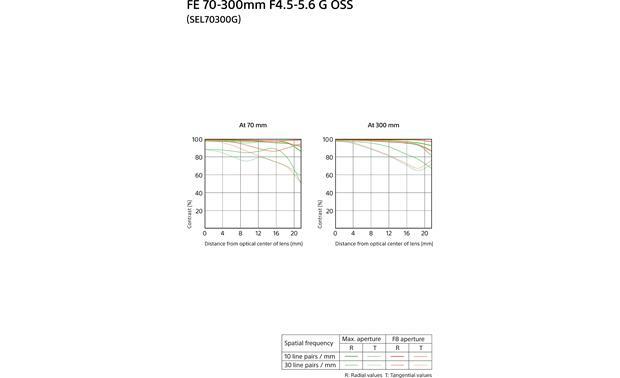 Focus Range Limiter: The SEL70300G lens has a focal length range of 70mm to 300mm. The Focus Range Limiter can save you time during Auto Focus operation, preventing the lens from "hunting" through the entire focusing range. This feature is useful when the subject distance is definite. The Limiter also works with manual focus. When the Focus Range Limiter is engaged, the lens will only focus between 9.8' (3m) and infinity. Lens Hood: The lens comes with the bayonet-type ALC-SH144 lens hood to prevent stray light from entering the lens causing lens flare. When installed, the lens hood adds about 2-1/4" to the overall length of the lens. When shooting with external flash, you should remove the lens hood to prevent shadows at the bottom of the picture. 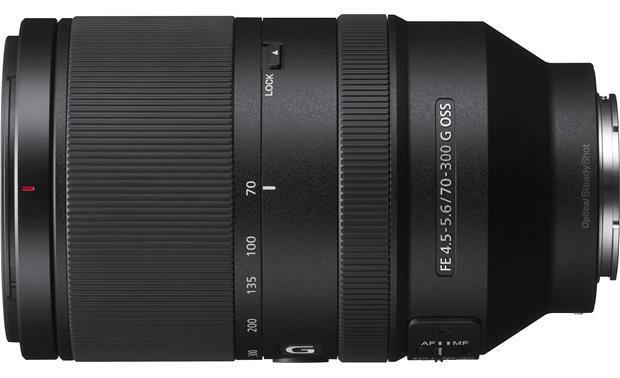 Searches related to the Sony SEL70300G FE 70-300mm f/4.5-5.6 G OSS Telephoto zoom lens for Sony E-mount mirrorless cameras.